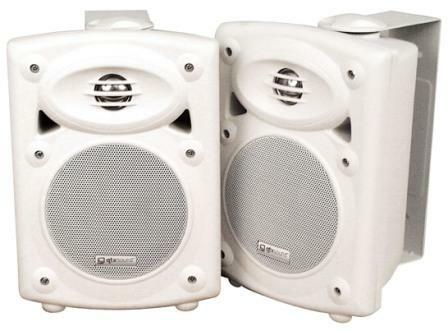 QTX High performance 2-way stereo speakers system with built-in amplifier (White). Heavy duty vented design for high power and deep bass response is ideal for use as studio or DJ monitors. Supplied per pair with mounting brackets and connecting leads.